Today, we commemorate World AIDS Day—we stand in solidarity with the 78 million people who have become infected with HIV and remember the 35 million who have died from AIDS-related illnesses since the first cases of HIV were reported. The world has committed to end the AIDS epidemic by 2030 as part of the Sustainable Development Goals. We are seeing that countries are getting on the Fast-Track—more than 18 million people are on life-saving HIV treatment and country after country is on track to virtually eliminate HIV transmission from mother to child. We are winning against the AIDS epidemic, but we are not seeing progress everywhere. The number of new HIV infections is not declining among adults, with young women particularly at risk of becoming infected with HIV. We know that for girls in sub-Saharan Africa, the transition to adulthood is a particularly dangerous time. Young women are facing a triple threat: a high risk of HIV infection, low rates of HIV testing and poor adherence to HIV treatment. Coinfections of people living with HIV, such as tuberculosis (TB), cervical cancer and hepatitis C, are at risk of putting the 2020 target of fewer than 500 000 AIDS-related deaths out of reach. TB caused about a third of AIDS-related deaths in 2015, while women living with HIV are at four to five times greater risk of developing cervical cancer. 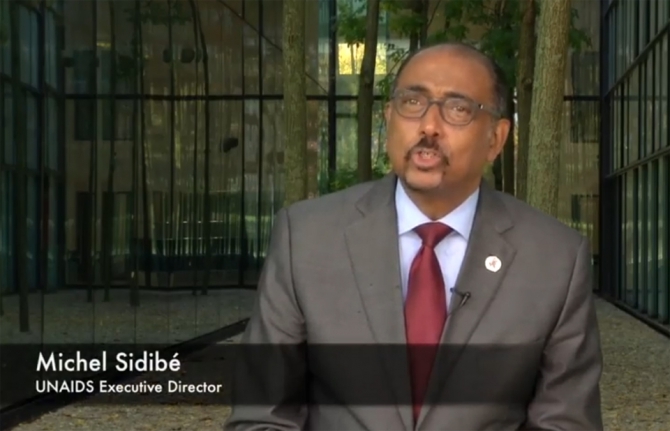 Taking AIDS out of isolation remains an imperative if the world is to reach the 2020 target. With access to treatment, people living with HIV are living longer. Investing in treatment is paying off, but people older than 50 who are living with HIV, including people who are on treatment, are at increased risk of developing age-associated noncommunicable diseases, affecting HIV disease progression. AIDS is not over, but it can be if we tailor the response to individual needs at particular times in life. Whatever our individual situation may be, we all need access to the tools to protect us from HIV and to access antiretroviral medicines should we need them. A life-cycle approach to HIV that finds solutions for everyone at every stage of life can address the complexities of HIV. Risks and challenges change as people go through life, highlighting the need to adapt HIV prevention and treatment strategies from birth to old age. The success we have achieved so far gives us hope for the future, but as we look ahead we must remember not to be complacent. We cannot stop now. This is the time to move forward together to ensure that all children start their lives free from HIV, that young people and adults grow up and stay free from HIV and that treatment becomes more accessible so that everyone stays AIDS-free.